Dec 14, 2015 — On December 9, 2015, MSF staff members and supporters in Washington, DC, gathered in Lafayette Park, across the street from the White House. Following remarks from leaders of the organization’s US office, the crowd assembled near the White House gates with thousands of pages of printouts listing the names of the more than half-a-million people who signed our petition calling on President Obama to consent to an independent investigation into the October 3 attacks on our trauma center in Kunduz, Afghanistan. We did this to honor the staff members and patients who died that night and to continue our ongoing effort to get answers to lingering questions about how such a horrific incident could take place—how a well identified, fully-functioning hospital could be targeted with precise and overwhelming fire power for more than an hour. 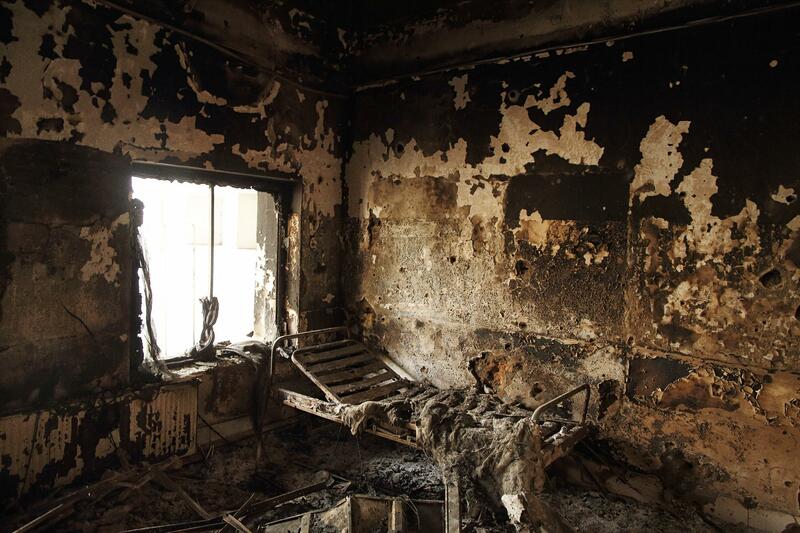 As it happened, just days after our gathering in Washington, DC, we shared the sad news that our own investigations of the incident and its aftermath had revealed that the death toll from the attacks now stands at 42 people, including 14 MSF staff members. We also wanted to present the petition in Washington to honor your support, for which we are immensely grateful. We cannot say for sure if the President will accede to our call, but we are certain that it’s been heard. And we are likewise certain that we will continue to push all warring parties and all nations to respect medical spaces in conflict zones and to respect international humanitarian law. “Even Wars Have Rules” is a statement that applies not only to Kunduz, but to all conflict zones around the world. And we hope you will continue to support us as we repeat this mantra over and over again in the days, months, and years to come. For more information about our efforts and our medical work in nearly 70 countries around the world, please visit doctorswithoutborders.org or msf.org and sign up to receive updates. On Dec 9, We Take Our Petition to the White House! Join Us in the Next Step of Our Campaign to Protect Hospitals!